(15 min 27 sec) A number of interactive questions are embedded within the short film The Making of the Fittest: Evolving Switches, Evolving Bodies, which illustrates how mutations in gene regulatory regions can result in the evolution of major anatomical features. (18 min 59 sec) Several questions are embedded within the short film Great Transitions: The Origin of Birds, which describes some of the most important fossil evidence showing that birds descended from dinosaurs. (54 min 51 sec) Join Neil Shubin as he links our hands, vision, and brains to ancient primate ancestors. PLEASE N​OTE: Due to international distribution restrictions, these programs can only be streamed in the United States and Canada. (54 min 41 sec) Join Neil Shubin as he links our hair, teeth and hearing to ancient reptilian ancestors. PLEASE N​OTE: Due to international distribution restrictions, these programs can only be streamed in the United States and Canada. (54 min 41 sec) See how the genetic legacy of a fish can be seen today in our own DNA. PLEASE N​OTE: Due to international distribution restrictions, these programs can only be streamed in the United States and Canada. (13 min 14 sec) A number of questions are embedded within the short film The Making of the Fittest: The Birth and Death of Genes, which illustrates how gene duplications and mutations have led to remarkable physiological adaptations in Antarctic fish. Milk: How Sweet Is It? In this activity, students simulate a lactose tolerance test, similar to the one shown in the short film The Making of the Fittest: Got Lactase? The Co-evolution of Genes and Culture, to determine which samples contain the lactase enzyme. 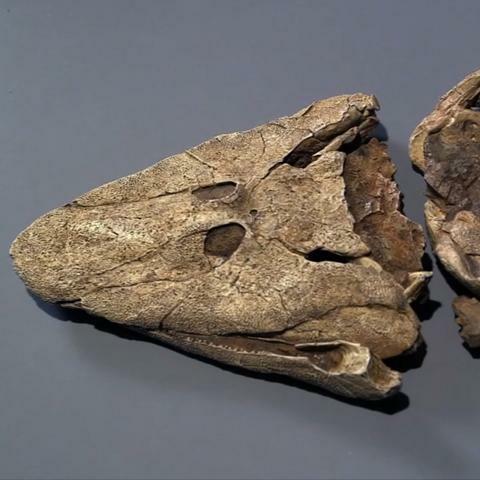 (17 min 11 sec) This film describes the discovery of Tiktaalik, a key fossil that illuminates the evolutionary origins of four-legged animals. (2 min 38 sec) This animation shows how a single species can give rise to many different species with distinct traits, using anole lizards as an example. This activity explores the content and research presented in the short film The Making of the Fittest: Evolving Switches, Evolving Bodies, which illustrates how mutations in gene regulatory regions can play a role in the evolution of major anatomical features. 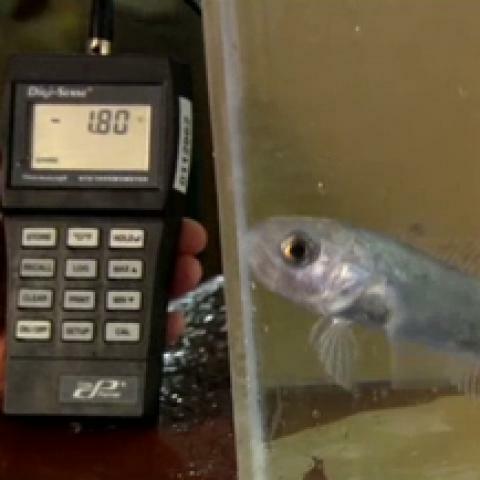 (15 min 27 sec) This film explores how mutations in gene regulatory regions have resulted in major changes in the anatomy of freshwater populations of stickleback fish. This activity supports concepts covered in the short film The Day the Mesozoic Died. Students analyze graphs and data on pollen grains and fern spores to form a picture of the living landscape before and after the mass extinction that marked the end of the age of the dinosaurs. (13 min 10 sec) This film explores how gene duplications and mutations have led to remarkable physiological adaptations in Antarctic fish. 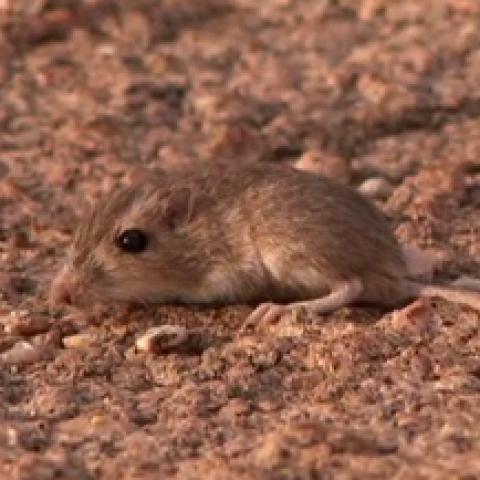 (10 min 25 sec) This film describes natural selection and adaptation in populations of rock pocket mice living in the American Southwest. This lesson supports concepts covered in the film The Birth and Death of Genes. After watching the film and reading a couple of scientific passages, students explain how understanding about icefish adaptations might help develop treatments for health conditions. This activity explores the research presented in the short film The Making of the Fittest: The Birth and Death of Genes, which illustrates how gene duplications and mutations have allowed some fish to adapt to extreme environments. This activity supports concepts covered in the film Natural Selection and Adaptation. Students analyze genetic sequence data and draw conclusions about the evolution of coat-color phenotypes in the rock pocket mouse. This activity supports concepts presented in the short film Natural Selection and Adaptation about the evolution of different fur colors among rock pocket mouse populations. The activity challenges students to analyze partial DNA sequences of the Mc1r gene to identify the effects of mutations on the MC1R protein pathway. In these activities, students transcribe and translate portions of the rock pocket mouse Mc1r gene to further explore the genetic variations responsible for different coat colors as described in the short film Making of the Fittest: Natural Selection and Adaptation.